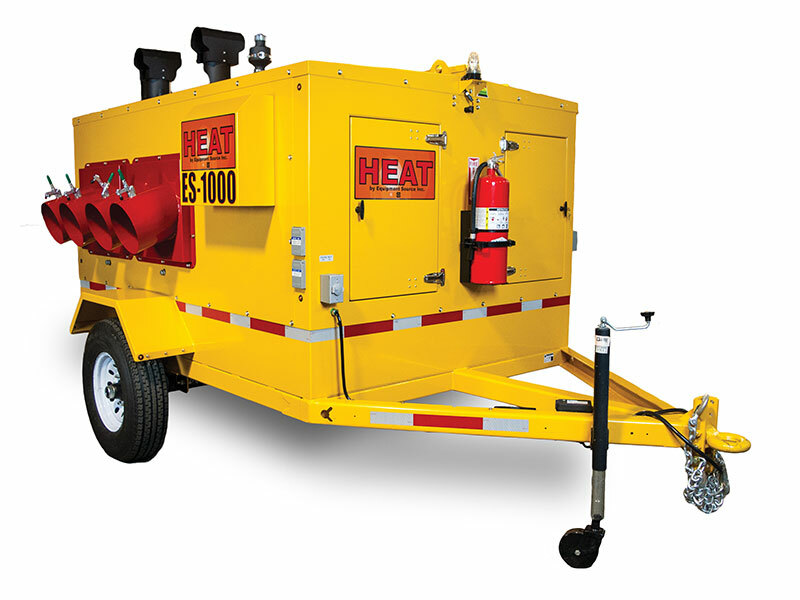 ES1000 Indirect Fired Heater | Equipment Source Inc. 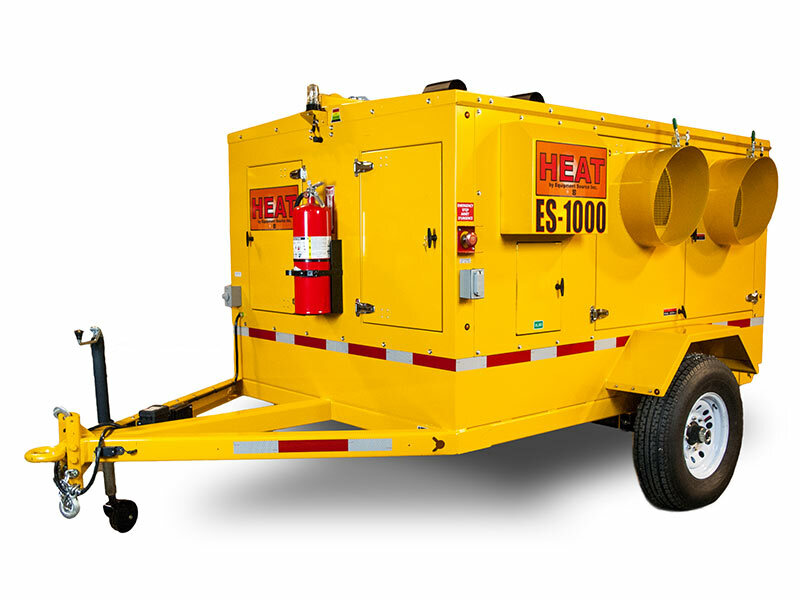 Flexible and powerful, the dual-burner ES1000 indirect fired air heating system provides maximum heat under full operation with the option to run a single burner for lighter applications. 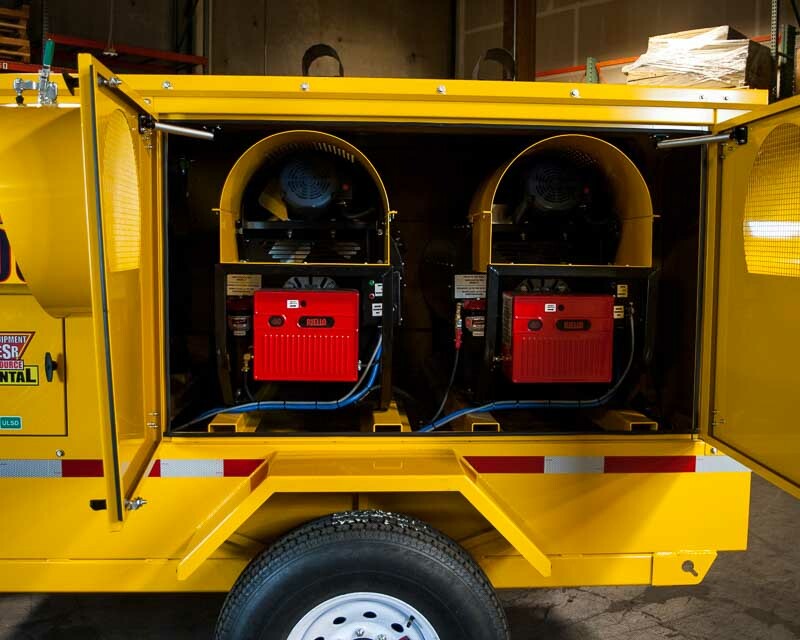 Powered by Kubota, the world's leading diesel engine manufacturer, the twin Flagro 400 indirect fired heaters generate a combined output of 760,000 BTU/hr with up to 2500 CFM per heater. 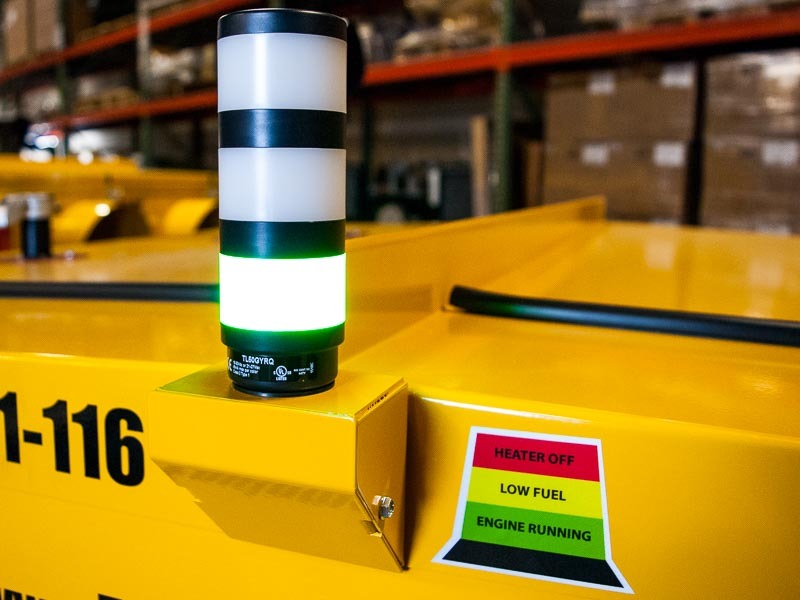 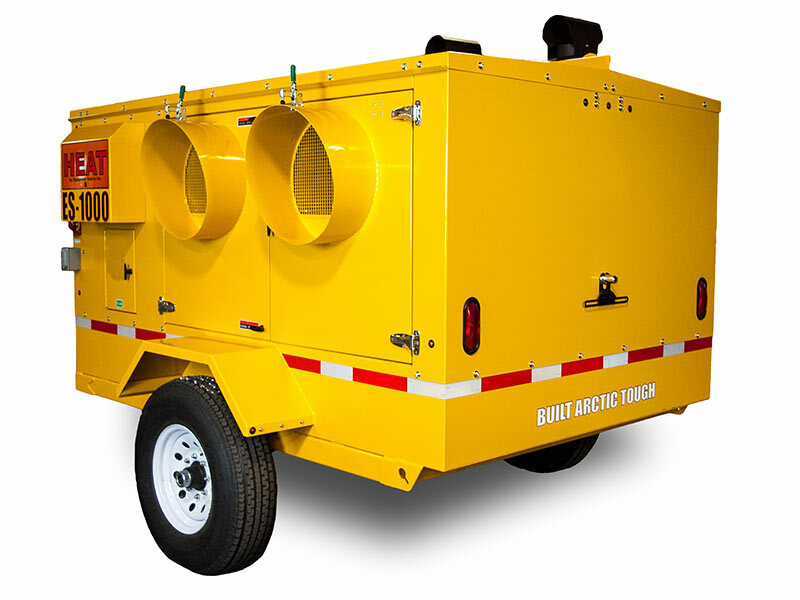 An ample fuel tank allows the unit to run from 40 to 74 hours between refuels. 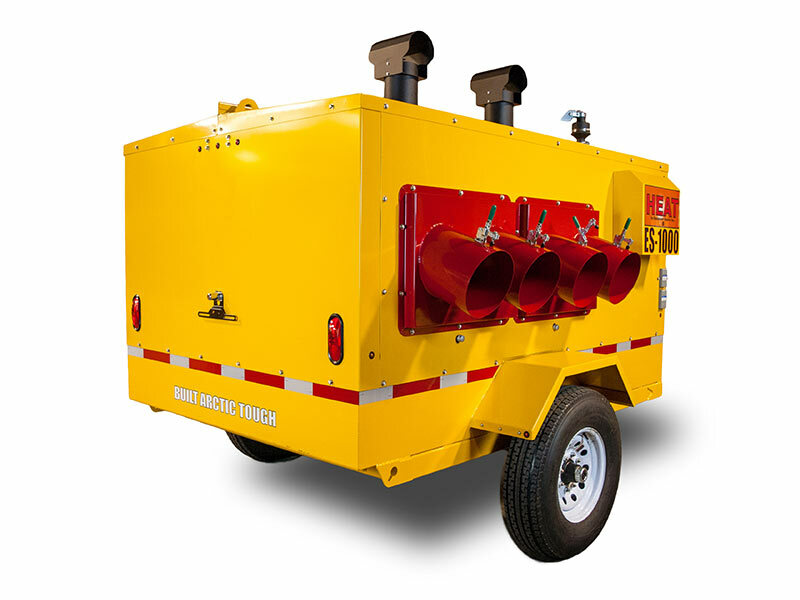 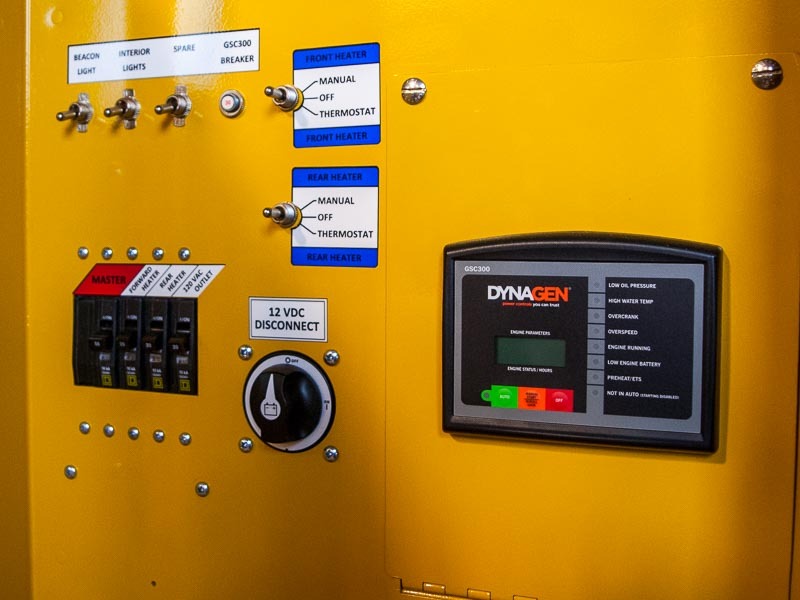 Like all of our industrial heaters, the ES1000 is Built Arctic Tough to provide maximum heat with minimum downtime for your oilfield, construction, or agricultural worksites. 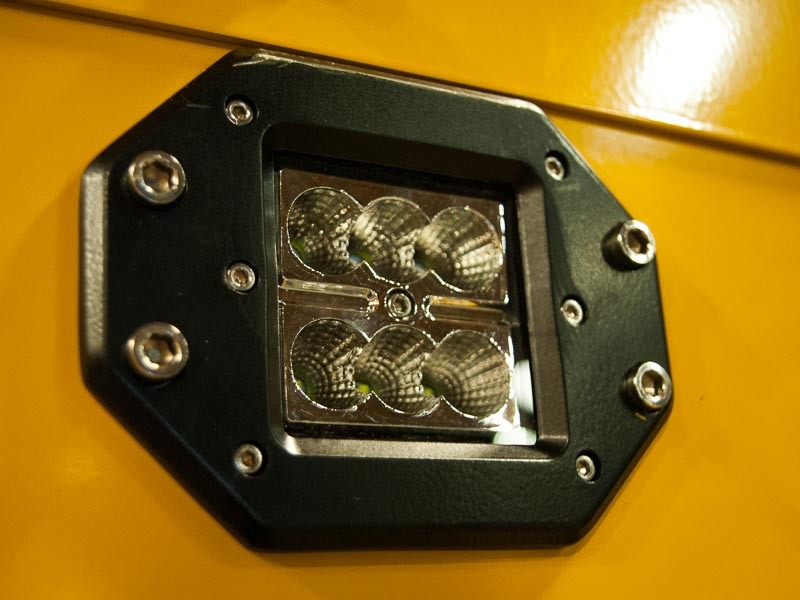 Get one today!